House fires kill around 3,000 people every year. There are nearly 400,000 residential fires every year. In those house fires, there is an average of 7 deaths per day. Before you think about shtf scenarios, I urge you to consider everyday emergencies, particularly the ones that happen ALL THE TIME, such as house fires. So let’s start by looking at the causes. Cooking: cooking fires often happen due to leaving food on the stove or in the oven, or when cooking with a lot of grease (turkey fryers). If a fire starts when frying food in grease, put a lid on it and turn off the heat. Do not use water. It will make the fire worse. If a fire begins in the oven, close the door and turn off the heat. Don’t leave food unattended. Be careful when frying with grease. Smoking: If you’re a smoker, see your doctor about quitting. There are a lot of resources out there to help make it happen. In the meantime keep smoking materials (cigarettes, pipes, lighters, matches, etc.) out of children’s reach. Do not smoke in bed. Falling asleep while smoking causes a lot of fires. Heating Equipment: If you rely on portable electric heaters, be vigilant about safety. Look for automatic shut off for safety. Keep your heaters at least two feet from anything that can catch fire (curtains, beds, desks, etc.). Get your furnace inspected once a year to ensure it is working to the safety standards. Electricity: Check all of your appliances in your home – anything that plugs in. Inspect the wires and cables and plugs for any frays. If found, immediately replace the cord or entire appliance. Avoid overloading the circuit breaker. It can only handle so much. Overusing electricity can cause a fire. Best to keep it to a minimum. Have your electrical system inspected once a year to ensure safety. An electrician can inspect your system for any frayed wiring, damaged outlets, and any other hazards, as well as give you some custom tips. Clothing Dryers: These things cause a lot of home fires. The problem arises when the lint and dust builds up, which is why there is a lint remover on your dryer. Lint is extremely flammable. It can get clogged in the dryer and exposed to high heats – the perfect storm for a fire. Prevent fires by cleaning the lint trap before and after every use, and by checking the dryer vent area and cleaning it out as needed. Candles: Candles aren’t as romantic as you think. They’re dangerous and a leading cause of house fires. The simplest solution is to avoid candles completely. However, if you must use them, never leave a lit candle unattended and keep them away from anything that could catch fire. 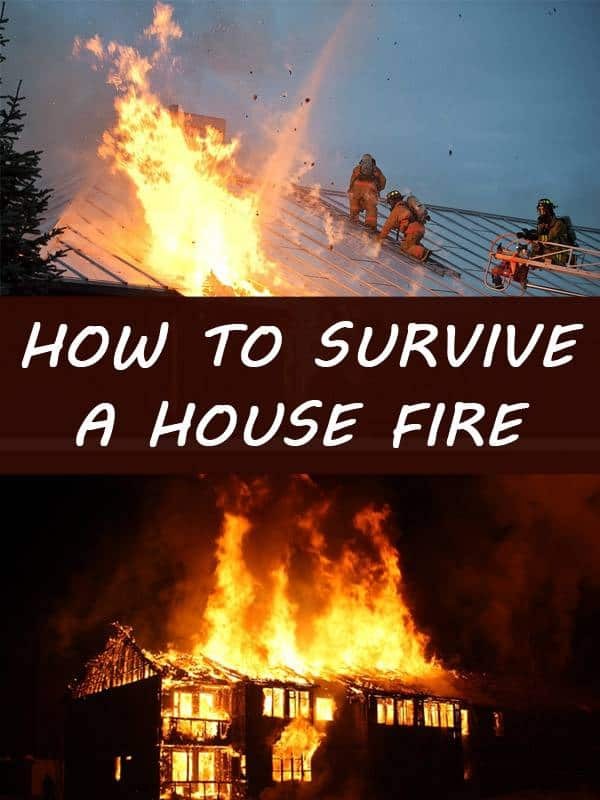 You must have the necessary fire survival items in your home, as well as knowledge on what to do in the event of a fire. You must create a home fire escape plan with everyone you live with, little ones included. And you need to practice your fire escape plans on a regular basis with everyone in your home. You work as a team so everyone knows what to do in the event of a home fire. There are several steps to being prepared for a house fire, first with must-have fire escape items to keep at home, at your bug out location, and even take some with you when you stay in hotels or at a relative’s house. There are many items you can get to help aid you in the event of a house fire. These are the top 10. The number one item you must have in your home in order to survive a house fire is a smoke detector. Firefighters cite not having smoke detectors, or not having working smoke detectors, as the number one cause of house fire deaths in the country. If you’re sleeping and a fire starts up in another room in your home your smoke detector will alert you. However, if you don’t have any smoke detectors, or have smoke detectors that don’t work, you may die in your sleep never knowing there was a fire. So, your number one must-have house fire escape items are functional smoke detectors. Install one in each room of your home. Some say you only need one in the kitchen and one in or near each bedroom. If you’re serious about surviving a house fire, install one in each room – every bedroom, your living room, your kitchen, your bathroom, your hallways, and in your basement. Why do just the minimum on something so serious? Now, you can’t just install these smoke detectors and forget about them. Set a reminder to test them once a month. Replace the batteries in them twice a year during daylight savings time. When you set your clocks back an hour or forward an hour, replace those batteries, even if they are still working. If the battery dies, you die and your family dies. Fire alarms alert the fire station when there is a fire in your home. Every second is crucial. The sooner the firefighters know there is a fire somewhere, the sooner they will get to you to start putting the fire out and pulling people and pets out of the home. Most homes don’t have sprinkler systems because they are a bit more expensive than the minimum. But how much is your life worth? Your spouse’s? Your kids? Businesses of all sizes have sprinkler systems to start putting out a fire the second the system is alerted. The sprinklers are installed in the ceilings. When they are alerted to a fire they will sprinkle water all over the room, stopping the fire before it gets out of control. It’s an investment, but can be well worth it. Most home improvement stores, “big box” stores and online retailers offer fire extinguishers in various sizes. They should be easily accessible and stored in any part of your home that has the potential for fire like in kitchens, on the patio if you have a barbecue, etc. It is important to have one on every floor of your home. Be mindful that fire extinguishers come with an expiration date. You can have them serviced or recharged at almost any fire station. Rope ladders are escape ladders that are ready to hook onto a window ledge or balcony and drop down to the ground. Ladders come in all sorts of materials, like wood and metal, and in lots of different lengths. Make sure the kind you get for your home is long enough for a safe descent. They should be stored near bedroom windows so you know just where they are in emergencies. Fire blankets can be used to kill fires by cutting off its oxygen supply that it needs to keep going. You can also use them to wrap yourself up while escaping. The blankets are made of malleable fiberglass and can withstand temperatures of up to around 900 degrees F.
Like fire extinguishers, these should be stored in a cool, dry place anywhere near potential fire hazards. Replace the blanket after each use. Fire retardant paint and flame-resistant clothing are often the first line of defense against a home in flames. While it doesn’t stop or smother fire it does slow its progress. The paint is made an intumescent paint and different types can be used on different home building materials so be sure and verify on the label if it can be used on wood, sheetrock, metal, etc. Flame-resistant clothing is made of material that pushes oxygen away, thereby starving the fire. Most sporting goods stores carry such clothing. Fire exit signs and fire safety equipment signs are a smart idea. In a house fire, even the most rehearsed person can panic. Signs remind people where the exits and where things like fire extinguishers, emergency ladders, and fire blankets are. These cords are able to detect faults that can lead to fires due to specially designed and shielded conductors. Surge protectors and power strips greatly reduce the impact of fires. These should be used with any major appliances in your home and, if possible, with anything electrical. Safes come in different sizes as well as different ratings for fire safety. Get one that is highly rated as well as large enough for paperwork like passports, mortgage paperwork, loan paperwork, data storage, wills, licenses, and anything sentimental. Before purchasing a safe, it is a good idea to gather up everything you want to store to get an idea of the size you need. Make sure to consider where you want the safe to be stored as the flooring must be able to withstand the weight. Keep a first aid kit at your outdoor meeting place. You may get injured when escaping a fire. Your emergency first aid and fire kit must include all of the standard items for a first aid kit plus burn cream, burn gel, conforming gauze for burns, and skin dressings for blisters. Home improvement stores and your local firehouses will have these in stock. The stickers are iridescent markers to place in high visibility of windows. Often they can be marked with how many people or pets are in the home. Each person in the house should have their own emergency go pack. There should be enough water and non-perishable foods for a few days along with batteries, a flashlight, and pet supplies if applicable. You can make a pack out of any hearty satchel or even a nylon drawstring bag. In at least one emergency go pack there should be a flash drive with photos of each room in your home and of every valuable along with snapshots of the paperwork stored in your safe. This is a bag and nylon rope made out of fire retardant materials. It’s used to evacuate babies and small children safely from second stories or higher. It comes ready to go in its pouch. Open, place child inside, and zip before lowering them to safety. Keep these in the nursery near the window, preferably where you keep the fire blanket. These masks are made of a fire-resistant plastic that slips over the head and neck like a fireproof hood. They are meant to be used one time. Escape masks allow for temporary resistance to smoke and noxious gases. These are good to keep in a first aid kit and to even keep in your car. Find two ways out of each room in your home. Verify that everyone knows where escape ladders are and how to leave the house most quickly. Plan for a meeting place your family can easily run to once they evacuate that is far enough away from the house to be safe, like the end of your block. Twice a year, gather everyone in your household and go over escape procedures. Make sure no windows are stuck and that screens can be easily removed or kicked out. Close your eyes and practice feeling your way out of the house in order to best mimic the sightless conditions of a house fire. Take photos and videos of your home inside and out. Keep these on file in several locations in case of a fire. You will need to show your insurance company the before and after. Crawl along the floor and get to the exit quickly. Heavy smoke and poisonous gases gather along the ceiling first so sticking to the ground is important. Feel the doorknob and the door itself. Is it hot to the touch? Is there smoke pouring out from under it? If so, find a different way out. Wrap your shirt around your mouth and nose as soon as you smell smoke. Tie it off around your head so you can use both hands to crawl to the exit quickly. Curtains, tablecloths, bedding, and any other cloth materials catch fire easily. Rooms with a lot of upholstered furniture will go up in flames first so either avoid living rooms and bedrooms or go through them very quickly if safe. Stop, drop and roll. Cover your face with your hands and roll back and forth until the fire is extinguished. If someone else is on fire, smother the flames with a fire blanket or a piece of your own clothing. This is a last resort, because you must get out and away from the fire. However, sometimes people get stuck due to the fire and smoke. If this happens, close any doors and top up any cracks or vents with tape or cloth to keep smoke out. Call 911 and tell them you are trapped and approximately where in the house you are. Get to a window and use something to signal where you are so firefighters can get to you as soon as possible. Stay out of the house. If there are any pets or people left inside let the firefighters know — they have experience on how to get in and out safely and you do not. Rely on emergency services to help you. Get to safety at your bug out location. Once safe, notify your insurance company immediately. They can help you with the next steps like emergency funds, how to inventory for loss, and fire restoration companies. Send them your photos and videos of the inside and outside of your home. Make sure to also notify your mortgage company if you are a homeowner, landlord if renting. Your fire department will let you know when your home is safe to reenter. They will also verify that utilities are safe to use or safely disconnected. Save any receipts for food, hotels, etc. that you accrue so your insurance company can reimburse you. Surviving a house fire is by and large about prevention. Having working smoke alarms and fire equipment that is kept up to date and tested often as well as practicing escape plans means that it is possible to survive a fire. Practice mindfulness every time you engage with fire or electricity in any fashion and rest easy knowing that if you’ve followed all of these steps you are as safe as anyone can expect to be. Above all, remember that things are replaceable and you are not. 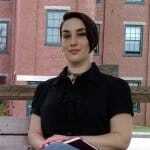 Nicky LaMarco is a freelance writer who is passionate about self-defense and survival, having earned her first-degree black belt in Taekwondo. Excellent article. Covered all bases but one. As a retired firefighter of 38 years, another important item is to keep doors to other rooms closed at all times, especially at night while sleeping. A closed door will keep the smoke, heat, and fire from spreading for a longer time than you think. You can have a living room fully involved in fire and if doors are closed have a completely clean and undamaged bedroom next to it. Buys you time to get out. And close any exterior doors if you evacuate as the airflow into the house will feed the fire. Yes, closing the interior doors is important for possibly keeping a fire contained. Thank you for the addition, and thank you for your service.